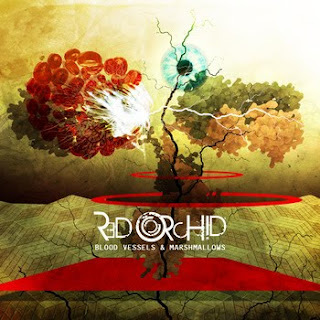 Red Orchid will without doubt do well not only with progressive rock fans, but also postrock and fans of music with a psychedelic tint. "Blood Vessels & Marshmallows" has both tracks with structure and composition as well as tracks with a heavy jam feel to them. Actually the album is constantly surprising. This alone should arouse the interest of the curious music lover.